Teachers and students of our Evening Lyceum visited the educational organization Meritum in Warsaw, together with colleagues from Austria, Italy, Germany and Spain. The meeting was held as part of the EU Program Gruntdvig titled CARIDIS “Catalogue of trades, professions or traditional jobs in risk of disappearance in Europe” (www.caridis.eu). Our students presented interviews that they had taken and video-recorded. They visited the old town, a traditional weaving mill, the historical museum dedicated to the resistance against the Nazis and the destruction of Warsaw, and the impressive Wilanow Palace. Teachers and students of our Evening Lyceum visited the Teleki Blanka School in Budapest, together with students from England, Italy and Turkey. The international meeting took place as part of the EU Program Comenius titled “Let’s make school more enjoyable” (www.comjoyschool.net). Our students met with the European colleagues and participated in presentations where the teacher’s role was played by the student. They also visited very interesting sites such as the city’s castle and Parliament, and had an unforgettable cruise in the Danube river. The open seminars with the accomplished psychologist Maria Dimou will continue into 2013 with one important option. Those who wish to certify their knowledge, can register in the e-learning program of the University of Pireaus, Department of Economics, at the site elearning.ec.unipi.gr/elearning/knowledge-market/. Selecting the course on psychology, one can register and eventually obtain certification for the seminars of the period January-June 2013. For a second consecutive year, our school participated in the Action of the Ministry of Education “Excellence and good practice in Primary and Secondary Education” (excellence.sch.gr). The directors and several teachers received awards for the program “PROSKILLS, Art as a means of developing personal and social skills”. The project was developed under the European Lifelong Learning Program - Grundtvig, with the support of the EU and the Greek National Agency IKY (www.iky.gr). Several of our students participated in the interactive labs and travelled with teachers to participate in international project meetings. 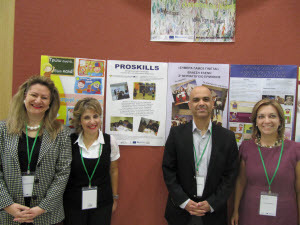 An international meeting was organized by our school in Athens for the European Program Grundtvig titled CARIDIS “Catalogue of trades, professions or traditional jobs in risk of disappearance in Europe” (caridis.eu). A total of 40 teachers and students from Austria, Germany, Spain, Italy and Poland participated for 5 days. Our school teachers presented interviews from trades such as shipyard carpenter, the wandering musician of laterna and the halva-maker. In our free time, we visited the Acropolis, the ancient theatre of Epidaurus and the city of Nafplion. We visited the Anadolu High-school in Bartin, Turkey, together with students and teachers from schools from the UK, Hungary and Italy. The meeting took place as part of the EU Program Comenius titled “Let’s make school more enjoyable” (www.comjoyschool.net). We attended student presentations on actions that make learning more fun and enjoyed the hospitality of the organizers. 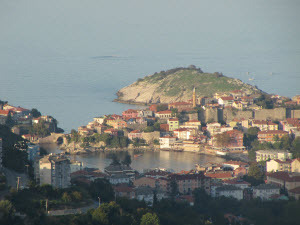 We had the chance to visit sites on the Black Sea and the cities of Amasra and Safranbolu. 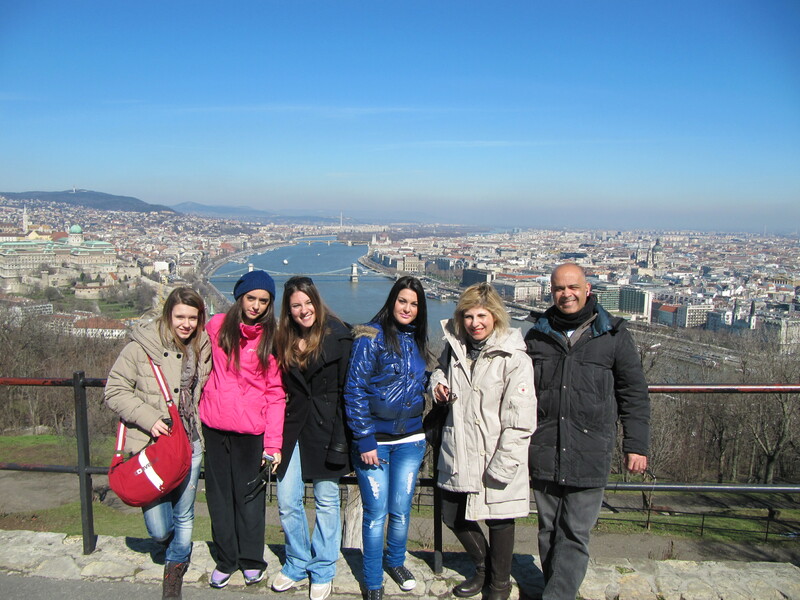 The next project meetings, where students of our school will participate, will take place in Budapest and London. In collaboration with the accomplished psychologist Mary Dimou and the “Contemporary Crisis Aid” group (www.cca-method.gr), we began a series of seminars which will be continued in the coming school year. “Contemporary Crisis Aid” is a new help method in today’s crisis, based in a combination of the principles of applied psychology and management, as these are practiced today internationally. Attendance is free for the community of school students, parents and alumni as well as the students of the Hellenic Open University. Teachers and students of our Evening Lyceum visited the Institut fur Ιnterkulturelle Kompetenz in Tubingen, Germany, with colleagues from Austria, Italy and Spain. The international meeting took place in the framework of the European Program Gruntdvig titled “Catalogue of trades, professions, or traditional jobs in risk of disappearance in Europe” (www.sommercamp.at/caridis). Our students participated in presentations of interviews, recorded by themselves. They also visited the Tubingen old town with its distinct architecture and famous University and castle, and a traditional bookmaker. The next international meetings will take place in Greece, Austria and Poland. Teachers and students of our Evening Lyceum visited the IIS Paolo Frisi High School in Milano, Italy, with students and teachers from England, Hungary and Turkey. The international meeting took place in the framework of the European Program Comenius titled “Let’s make school more enjoyable” (www.comjoyschool.net). Our students met their European colleagues and participated in presentations of projects that make school more enjoyable. They also visited important sites such as the “Last Supper” of Leonardo da Vinci, the Duomo Cathedral, the “Corriere de la serra” newspaper and Lake Como. The next international meetings will take place in Turkey and Hungary. During the school year 2010-2011 our school participated in the Action of the Ministry of Education “Excellence and good practice in Primary and Secondary Education” (excellence.sch.gr). 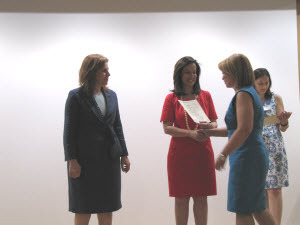 Awards were given to the Director of the Lyceum and 4 teachers, for the entrepreneurship lab INICIATIVA, which we developed in the framework of the Grundtvig Action of the Life Long Learning Program with the support of the European Union and the Greek National Agency IKY (www.iky.gr). Many students participated in the project and several of them took part in the international meetings with students and teachers from other European countries. During the school year 2009-2010 our school participated in the “Hellenic Youth Parliament” education Program (www.vouliefivon.gr). 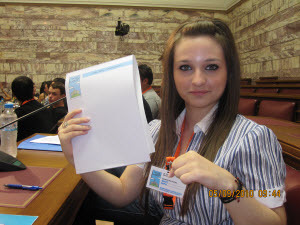 The student of our Lyceum Maria Vakou was elected as Parliament Member among the 300 youth M.P.’s and participated actively in the realization of the Program during September 2010. She made proposals and interacted with her colleague youth M.P.’s in the framework of constructing an active citizen consciousness. 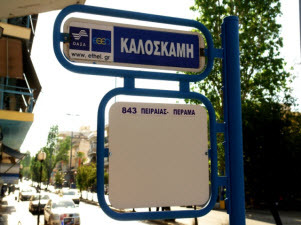 On March 10, 2009, the Municipal Council of Keratsini decided with a unanimous vote to rename the bus stop of line 843 (Pireaus-Perama) which is located outside the school’s entrance, from “Giannouli” to “Kaloskami”. The name change, which was completed in September 2009, is a recognition of the social contribution of the school from 1960 until today. The decision also mentions the practical use of the bus stop by the students of the Hellenic Open University (www.eap.gr), which is housed in our facilities on Saturdays and Sundays.